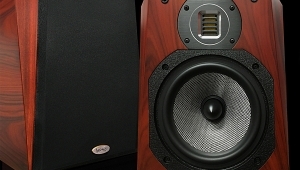 Audiophile eyes usually roll when a manufacturer describes a loudspeaker as a "genuine musical instrument." Musical instruments have specific characteristics of pitch and timbre. 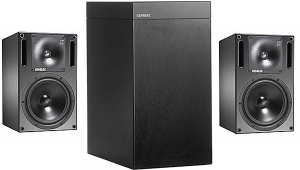 Ideally, a loudspeaker should be a portal to the music; the speaker itself should be neutral in pitch and timbre—in other words, the opposite of a musical instrument. That the sound produced should be "musical" is a different argument. 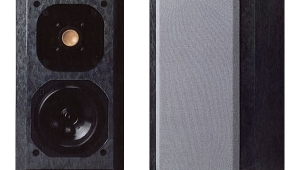 When, in 1994, Sonus Faber introduced the limited-edition Guarneri Homage loudspeaker (footnote 1) to celebrate the 250th anniversary of the death of master violin maker Giuseppe Guarneri (del Gesù), the company embraced the musical-instrument analogy in the process of designing the speaker. Even the design of the enclosure relied more on techniques used to build musical instruments in the 18th century than on science-based, 21st-century loudspeaker technology. 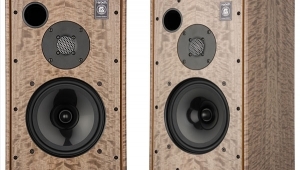 While other manufacturers have since imitated the Guarneri's lute-like contours, which in 1994 were unique (Sonus Faber has apparently chosen not to enforce the patent it holds on the shape), none that I know of has attempted to duplicate its expensive, time-consuming, old-world process of construction. The Guarneri's cabinet consists of 21 staves of thick, solid, hand-selected maple, separated by thin wooden strips, dyed aniline black, that are aged for two years before being kiln-dried. The wood is then shaped, assembled by hand, and glued, using heat and pressure techniques similar to those used for centuries in the making of violins. The cabinet's inner walls are lined as needed with copper sheeting (lead used to be in there as well, but use of the toxic heavy metal is no longer permitted), to distribute and damp resonances and produce cabinet-to-cabinet uniformity. After being sealed with albumin, the speaker's exterior is dyed with a natural reddish or graphite stain before being painstakingly varnished with a blend of natural organic substances, including Venetian larch turpentine, linseed oil, propolis, wine alcohol, gamboges, copal gum, and oliban. The finish is then sanded multiple times, like a fine violin, to a rich, deep gloss in yet another time-consuming process that only a few artisans are capable of performing. Again as with a fine stringed instrument, the finish is claimed to have a "profound" effect on the sound. 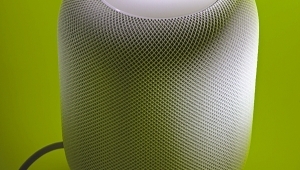 Add the curvaceous rear piece of aniline-dyed limewood, containing the port and speaker terminals; the sculpted, leather-clad baffle, itself a major construction job; and Sonus Faber's once-unique, now oft-copied "string" grille—and you'd better believe that the Guarneri Homage created quite a stir in 1994, even before anyone had actually listened to it. 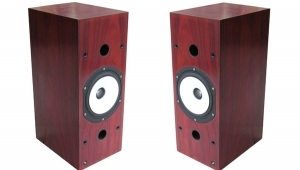 The speaker is still one of the most beautiful looking, gracefully shaped, and solid loudspeaker cabinets ever constructed. But there's functionality behind all that beauty. The cabinet's nonparallel walls are said to inhibit the generation of unwanted standing waves, and to help "guide" the backwave to the port. 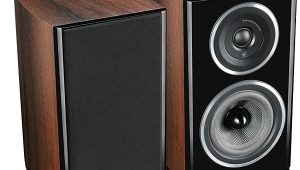 More important, the original Guarneri Homage, fitted with a custom-designed 6" Scan-Speak woofer and custom Dynaudio Esotar tweeter, received rave reviews across the board for both its measured and its musical performance. But its high price ($9400/pair) and limited availability put it in the hands of only a lucky few around the world. 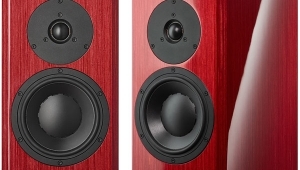 Sonus Faber designer Franco Serblin followed the Guarneri Homage with the Amati Homage and then the spectacular Stradivari Homage, which he hoped would be—and many consider to be—his crowning loudspeaker achievement. Based on his experience designing the Stradivari, Serblin followed up with a much-improved (particularly in its bass performance) version of the Amati, the Amati anniversario (footnote 2). Now comes the "refreshed" Guarneri, which uses two new custom drivers: a 1" Scan-Speak ring-radiator tweeter, crossed over at 2.5kHz to a 6" Audio Technology polypropylene-cone woofer. It's important to remember that while a drive-unit's faade may look familiar, what's behind it is usually custom-tailored to the end-user's needs. Like the resemblances between an airport rental version of a well-known automobile and the top-of-the-line edition, the similarities can be little more than superficial. On the other hand, while the Guarneri memento's cabinet looks spectacular, it's still a 6" woofer and a familiar Scan-Speak ring-radiator tweeter in a box. 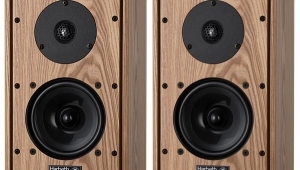 A pair of these small speakers will set you back $15,000. 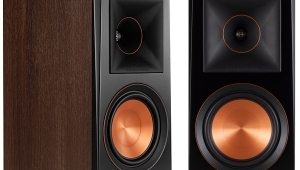 The price includes the shapely Column stands to which the speakers are bolted, with stone wedge bases from a quarry near the Sonus Faber factory in Arcugnano, Italy. 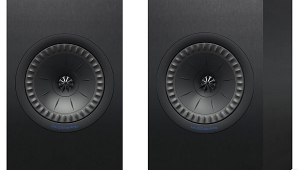 Patrick Butler of Sumiko Audio, Sonus Faber's US distributor, paid me a visit to set up the Guarneris on their Column stands using the company's tried-and-true series of recordings, which includes Jennifer Warnes' "Ballad of the Runaway Horse," from Rob Wassermans' Duets CD. Squeezing every drop of performance—especially in terms of bass—from a small design such as the Guarneri memento requires skill, experience, and patience, something Sumiko insists that all its dealers possess before they can be awarded a Sonus Faber franchise. I left the room. 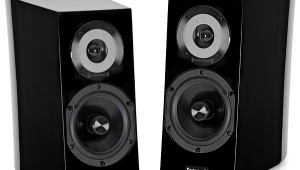 When I returned, the Guarneris were sitting close to where virtually every other speaker has sounded best in my room. 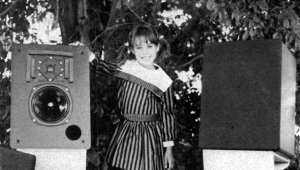 The speaker's high-frequency performance was beyond reproach as long as I sat below the level of the tweeter and used the provided Columns, which angle the front baffles back. When I stood up, there was an obvious HF suckout. 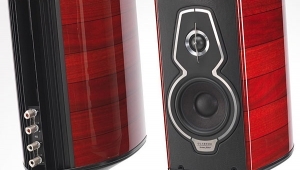 A special loudspeaker, or an overpriced "lifestyle" looker? 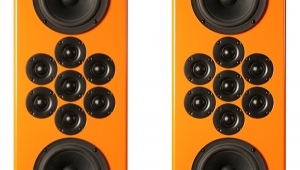 Any successful loudspeaker design is a careful blend of science and art. Measurements taken under anechoic and quasi-anechoic conditions don't necessarily translate well into actual listening rooms. Nonetheless, such measurements are important—a lumpy response curve measured under controlled conditions is rarely flattened out by a typical living room.